I bought this vintage gumball machine over a year ago, but finally did the quick change I had planned for it just last week. 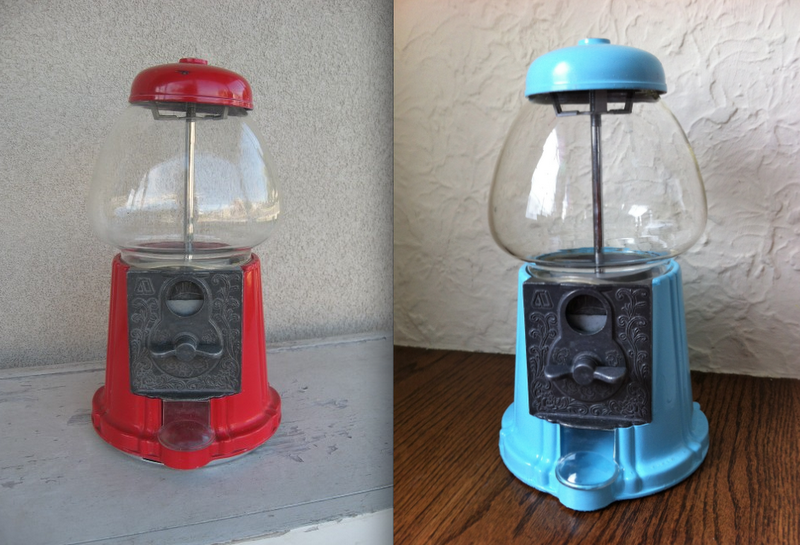 A little disassembling, some spray paint, and a little soap & water gave quite the transformation. I'm loving the fresh new look in our dining room and the pop of turquoise. i like the color a lot. kinda a mixture of classic and modern.